Following an long terms issue with dampness to a lower ground floor flat in West London, Kenwood were called to assess. Following an inspection by our highly qualified Surveyor, rising damp was found to be affecting a number of walls within the property. This is due to a defect to the original damp proof course likely caused by the natural movement of a building over time and bridging if the damp proof course by high pavement levels externally. In order to treat rising damp we first take of the wall plaster back to bare brick work, a new chemical damp proof course is the injected into the wall. Then works are completed by re rendering the walls using specialist render containing salt inhibitors and additional waterproofers giving a fully effective and long lasting solution. 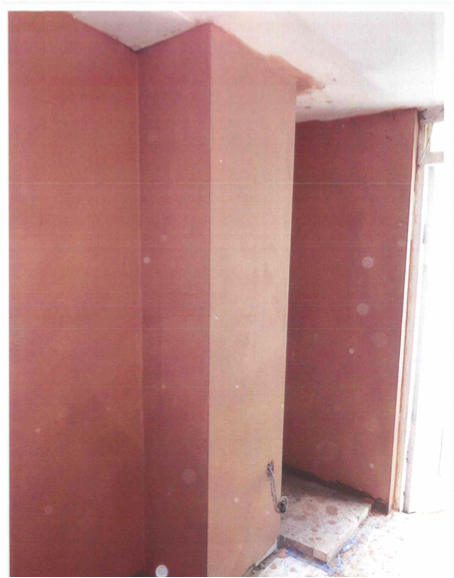 Finally skim coat plaster is applied to provide a smooth finish ready to receive decoration.